Hello! I am Mai, the HALAL Japanese cuisine expert. 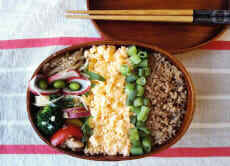 I organize the project "HALAL RECIPES JAPAN" to introduce Japanese homemade recipes in HALAL way by online. I often have cooking event with Muslims in Japan, so I can support people who have any food restriction, especially Muslim. 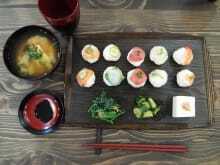 I would like to help you to enjoy delicious food life in Japan. I live in Tokyo with two daughters and my husband. In addition, I love to travel in abroad, and to communicate with local people. When I travel, I'm always interested in "the real lifestyle of locals" that I can't find on the travel guide book. I am looking forward to having a wonderful time with you. Thank you! 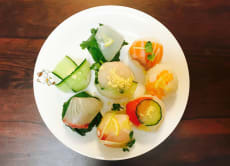 Learn to cook Japanese popular dishes (HALAL/Vegetarian)! It was very great experience to cook Japanese 🏯 food with you. To be honest, you should be ready for Japanese food taste if you are not familiar with. It was my first time to eat Japanese food. She is very friendly and flexible person. I hope you all can enjoy cooking with her. Thank you Ms. Mai San.